On Friday, England and the other 31 finalists for the 2014 FIFA World Cup will find out who they’ll be facing in the group stage of the competition but before then FIFA has added another hurdle for the European nations. When the 8 groups are drawn in Costa do Sauipe, Brazil on Friday, England could find themselves facing some of South America’s finest nations thanks to a technicality that the game’s governing body has introduced for the next World Cup. At the moment England and eight other European nations are part of the unseeded Pot 4, but before the draw is made one of those 9 UEFA nations will find themselves drawn into Pot 2 where 4 South American seeded nations await. The host nation Brazil have been given the A1 position for the draw. If England are moved to Pot 2 they’ll be sure to face either Brazil, Argentina, Uruguay or Colombia. FIFA’s process is a bit complicated and boring and the governing body’s general secretary Jerome Valcke agrees that “It's not easy to understand it the first time.” But the basics are that one team from each pot is drawn into each group and each group can only contain a maximum of two European nations. 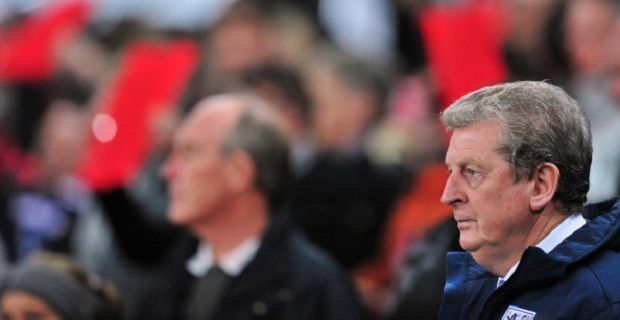 England boss Roy Hodgson has repeatedly said that where England are based is far more important than who they will face in the World Cup finals, but we’re sure that he will be waiting and worrying until the draw is finalised at around 17:45 GMT on Friday 6th December.